A group of former Georgia prisoners is calling for clemency for Kelly Gissendaner, who is scheduled to be executed on September 29. The women say Gissendaner gave them hope and helped them turn their lives around. Nikki Roberts said she spoke to Gissendaner through a heating vent after Roberts had been placed in "lockdown" for trying to slit her wrists. 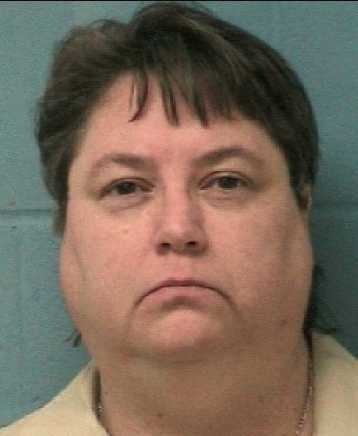 Gissendaner told her, "Don't wish death on yourself. You sound like you've got some sense." Gissendaner encouraged Roberts to take taching courses and study theology. Roberts joined a choir and became a prayer leader. She was paroled last year and now teaches adult literacy. "Killing Kelly is essentially killing hope. Kelly is the poster child for redemption," Roberts said. Another woman, Nicole Legere, said Gissendaner helped her and many others. "I saw the change in (other inmates) who talked to her. There needs to be people like her, someone to be a mentor. She’s a lot of hope. And there’s not much hope in there." Gissendaner was convicted for her role in facilitating the murder of her husband, based upon the testimony of the actual killer, who received a deal in which he will become eligible for parole. If Gissendaner is executed, she will be the first woman executed in Georgia since 1945 and the only person who did not directly commit the killing to be executed in Georgia since the state reestablished the death penalty in the 1970s. (M. Davis, "Former inmates rally to save murderess from death," Atlanta Journal-Constitution, September 21, 2015.) See New Voices and Women.